Here comes another Visconti review! Visconti’s Homo Sapiens London Fog is one of Visconti’s latest additions to their Homo Sapien’s line of pens. Others in this line include their Homo Sapiens Bronze, Crystal, and Florentine Hills variants. The new London Fog addition features unique smoky gray and blue color scheme. The London Fog is available as a limited edition of 888 pens total, across their fountain pen and rollerball. Like previous Homo Sapiens limited editions, the London Fog arrives in a stunning “piano black” clamshell wooden box, with Visconti’s signature logo on the top. I’d like to thank Galen Leather once again for sponsoring this review and giveaway of their Leather Zippered 3 Pen Case! They make some great leather products, such as pen cases, notebook covers, and folios, and you should check them out! They are a small two-person company, from Istanbul, Turkey specializing in handmade leather, wood, and brass products. You can find our previous review of their Leather Pen Roll here. You can find a giveaway of the product featured on the bottom of the page. In the spirit of the Fourth of July weekend, I’ll be reviewing the Conklin All-American Fountain Pen. I’d first like to thank Pen Chalet for sponsoring this review! They are a premier retailer for all kinds of fine-writing instruments. Use the coupon code “FREEDOM” to save 10% on the total purchase price. Act quickly as the sale ends Monday, July 4th, 2016. The Conklin All-American Yellowstone is one of Conklin’s All-American pens offered in 5 distinct color patterns. 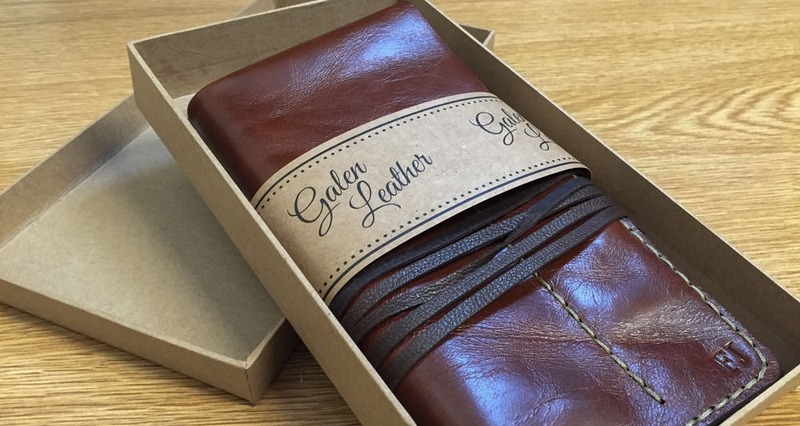 First off, I would like to give a huge shoutout to [Galen Leather](https://www.galenleather.com) for sponsoring this post and providing a review sample of their leather pen roll! They are a small startup company founded in 2012 in Istanbul, Turkey. They are a two-person company specializing in handmade leather, brass, and wood products and have a wide selection of notebook sleeves, laptop cases, pen cases, and much more! Check them out [here](https://www. First off, as many of you may have realized, it has been a long time since I’ve been maintaining this blog (almost 1⁄2 a year). This was because over the past few months, I’ve officially began my college career in the University of California, Los Angeles (UCLA). It has been an absolutely whirlwind of work and fun, and thus, I didn’t have much time left to write for the blog. Now, since everything has settled down a lot more, I’m going to be back up and running! TF Est. 1968 is a very under-the-radar Swiss brand that specializes in luxury goods, such as cufflink sets, timepieces, and pens. The brand was created in 1968 (obvious from it’s name) and creates products inspired by the world of watchmaking and mechanical watches. One of TF Est. 1968’s rollerball pens is their Tourbillion Openside which features a real mechanical watch tourbillion suspended in a see-through chamber. 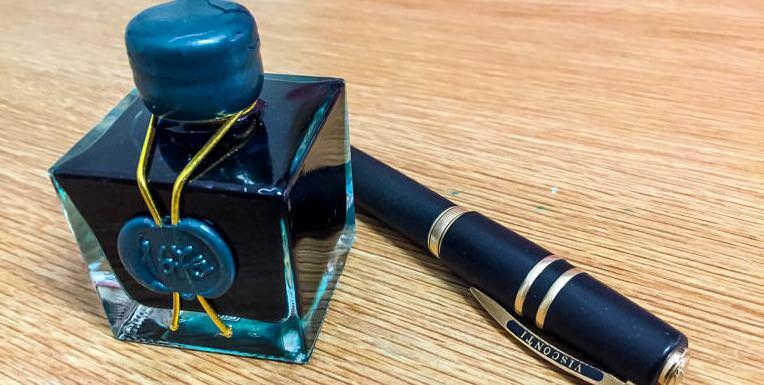 The top of the pen is wrapped with a crocodile stamped black leather. Porsche Design is an under-the-radar upscale fashion, luggage, and accessories designer that happens to dabble quite often in writing instruments. The Porsche Design Group was founded in November 2013, as a subsidiary of Porsche AG (a.k.a. the car maker). Porsche Design writing instruments are marketed under the P’3000 name and include high end mechanical pencils and pens made of stainless steel. One of their “cooler” pens is definitely their Laser Flex pen which appears to change shape as it is pressed. (This pen was loaned to me by my good friend, Wendy for review purposes.) I’ve mentioned Visconti’s Homo Sapiens line many times before in my blog, and here is another addition, the Homo Sapiens Crystal. For those that haven’t seen my other reviews, check out the Homo Sapiens Florentine Hills, a bright green version, or the original H.S. Bronze. The Homo Sapiens Crystal is a beautiful blue version of the Homo Sapiens Crystal.